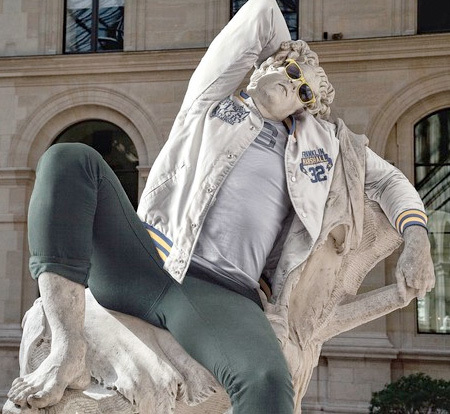 Creative photo series by Paris based photographer Léo Caillard features old statues dressed in hipster clothing. 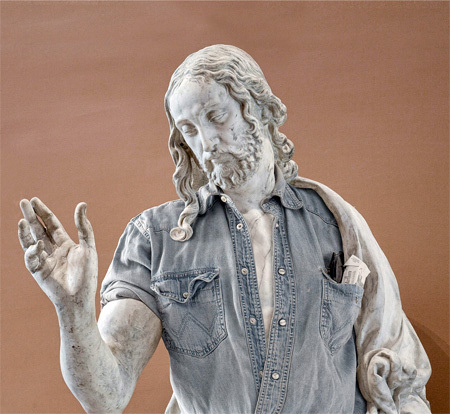 Stone and marble statues were photographed and then dressed with the help of Photoshop by talented French digital artist Alexis Persani. 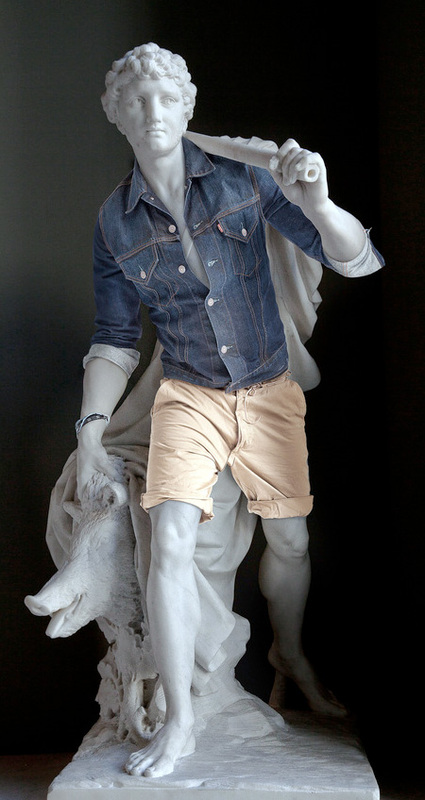 Ancient Greek and Roman statues dressed up in stylish modern clothing. 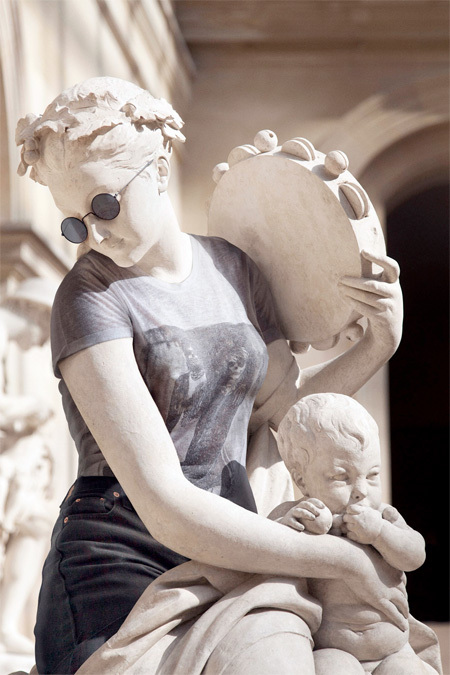 how did they get the clothes on the statues? if it’s photoshop, then it’s really good. 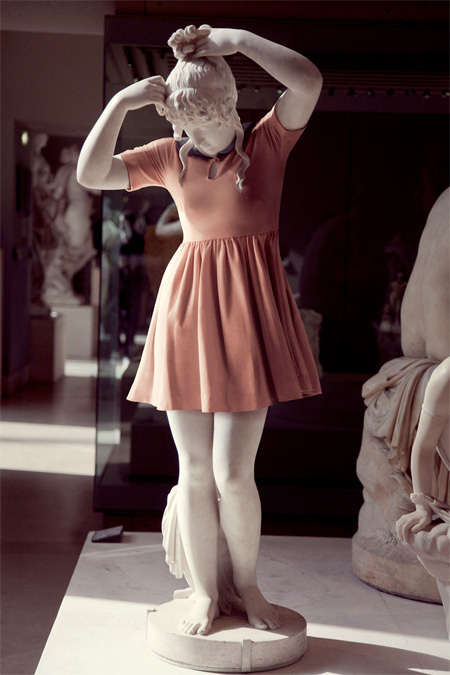 great photograph lightening adaption and photoshop skills! Loved it. Brings ancient times current. The figures look like people we see today. Really wonderful idea. 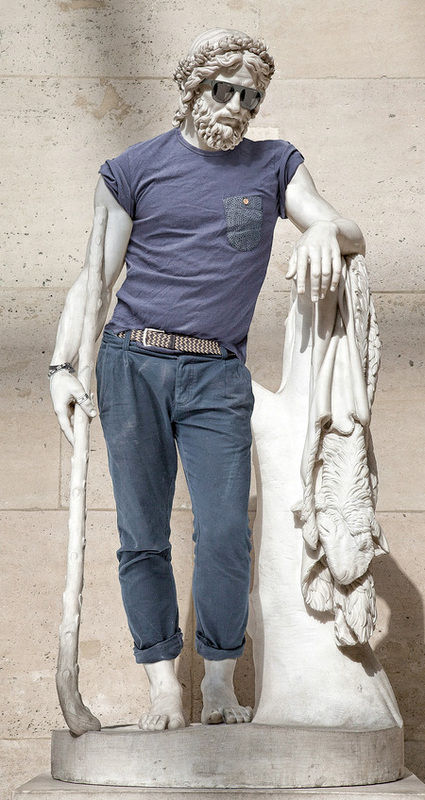 They must have had someone wear the clothes and pose in same position as the statue to get the shapes right. If not, then their photoshop skills are even more amazing. 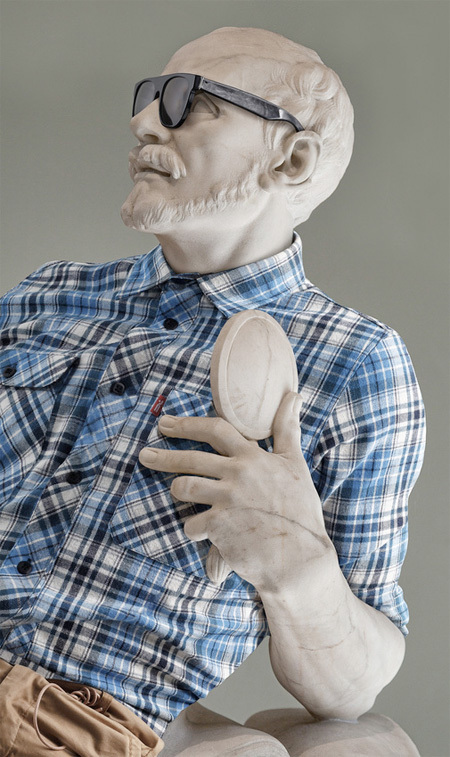 Originally these statues would have been painted with natural looking colours. 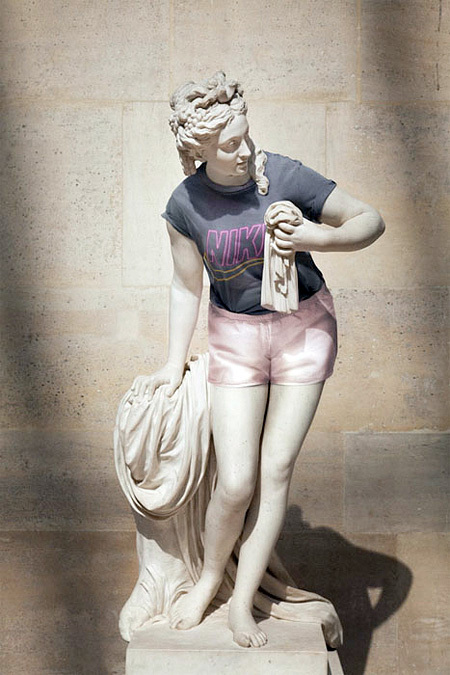 Interesting how natural the statues look with clothing on, normally as statues they look too perfect to be real people, but you could see these on any campus today.